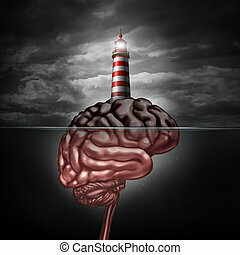 Thinking and education direction concept and training and development symbol as a lighthouse icon on an island shaped as a human brain as a metaphor for business learning or professional psychiatric or psychological assistance and support. 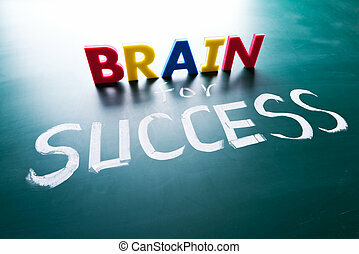 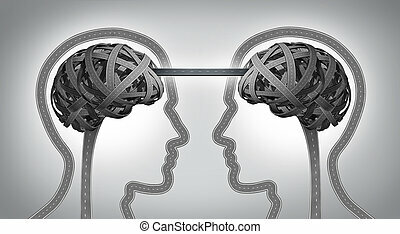 Direction communication business concept for building a bridge between two team members with symbols of human heads and brain made from tangled roads and highways connected together with a street as an icon of unity and agreement success. 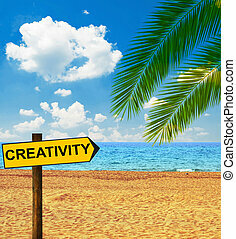 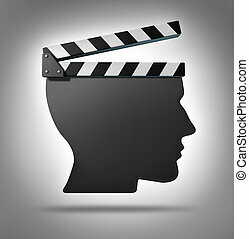 Life direction and human guidance as a symbol of a movie equipment clapboard shaped as a head ins a concept for living and taking action in your biography. 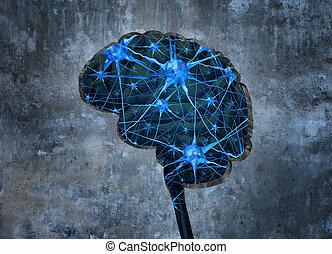 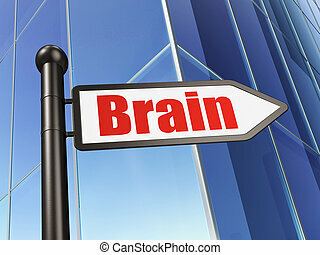 Brain medical research concept with a science doctor on a brain steering with a harness the direction through a maze of three dimensional neurons as an icon of finding a cure with a proper diagnosis for autism and alzeimers disease. 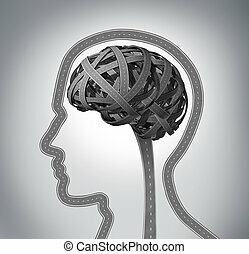 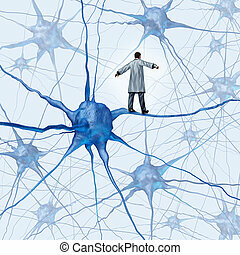 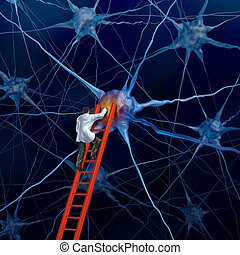 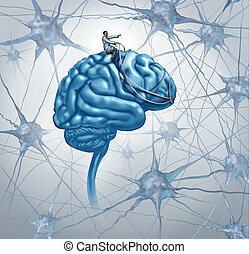 Brain research challenges as a medical concept with a science doctor walking on a human neuron connection as a highwire tight rope metaphor through a maze of neurons as an icon of finding a cure for autism alzheimers and dementia. 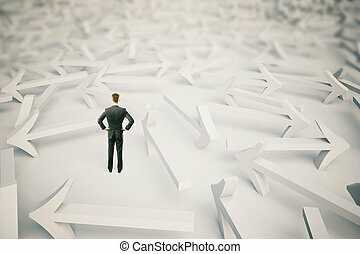 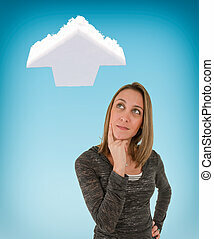 Find people and searching for someone concept as a group of three dimensional arrows shaped as a human head representing business contsacts and career leadership direction. 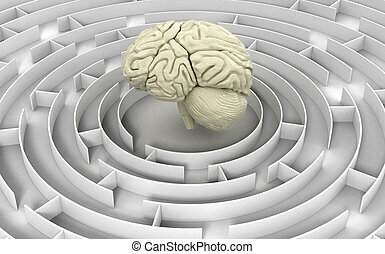 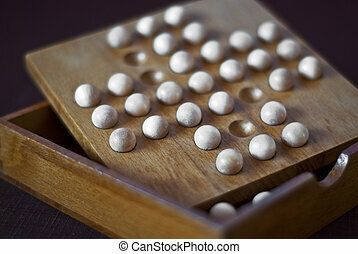 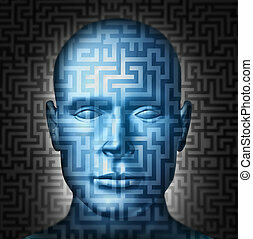 Human solution searching for a clear direction and answers to complex decisions and confusing financial or health problems as a front view head with a maze or labyrinth puzzle as a challenge to intelligent choices. 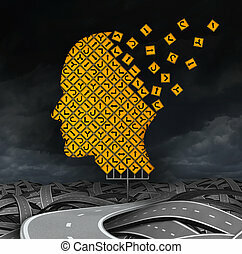 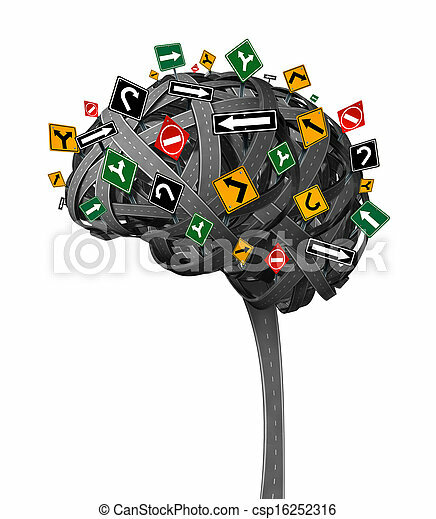 losing guidance brain disease with memory loss due to Dementia and Alzheimer's illness as a medical icon with a group of road signs shaped as a human head and neurology loss as a concept of being lost on a journey. 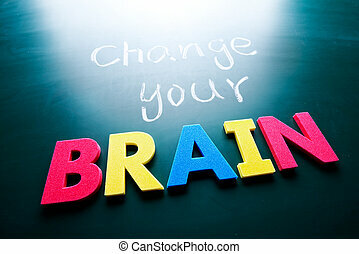 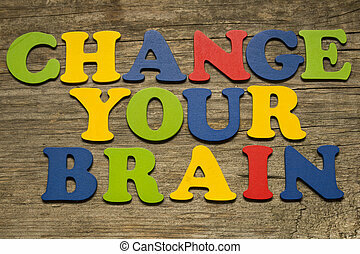 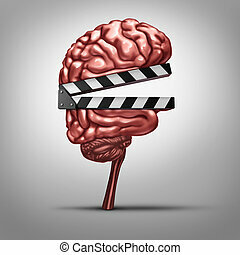 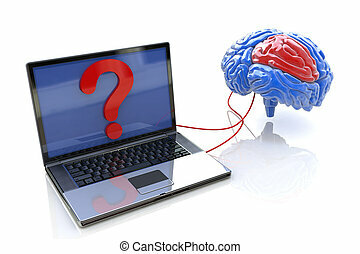 Learning video and education clips or instruction online as a clapboard shaped as a human brain as a tool for educating and teaching new skills with entertainment media movies as documentaries biography or history broadcast on the internet. 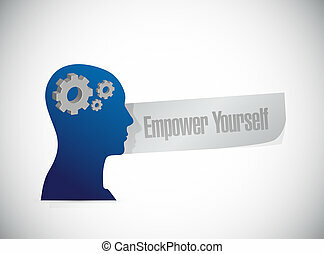 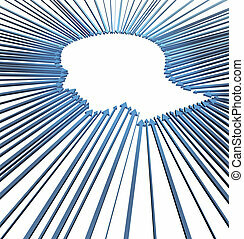 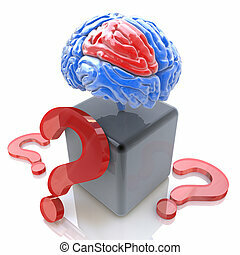 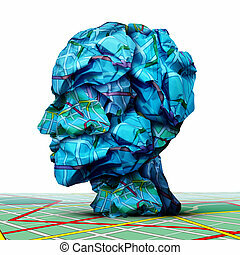 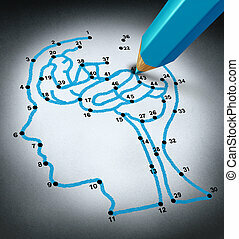 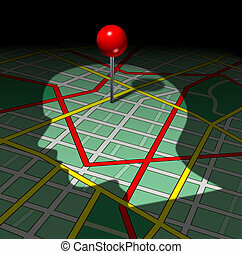 Human road map and life direction concept as a shadow of a persons face or head cast on graphics of streets and highways with a red pin as a success metaphor for psychology issues or career business goals.